Elena: The community!! I am constantly overwhelmed with how genuinely welcoming and just NICE generally everyone is. It's a ridiculously generous community and I love, love interacting with everyone. Hooray for people who love books! Kendra: I really enjoy the community of it all. Finding new books that I maybe wouldn't have checked out otherwise because it got a great review by someone I trust, that sort of deal. It's great to have find people to have the same interests as you do, always. Elena: My favourite book is Norwegian Wood by Haruki Murakami. I just think there's something so beautiful about his writing and the way he understands human nature. I also love that even though he is a Japanese author, his works seem very international. Kendra's all time favourite book is probably Play It As It Lays by Joan Didion. Kendra: We are mainly YA book blog though so some of our favourites are the Hex Hall series, the Agency Series, Anna & the French Kiss, etc. I think my favourite book so far this year is Code Name Verity by Elizabeth Wein which EVERYONE needs to read. Kendra's favourite book that she's reviewed on the blog is The Scorpio Races by Maggie Stiefvater. Elena: It seems redundant to say again but meeting everyone! I just can't gush enough about everyone I've met and interacted with so far. 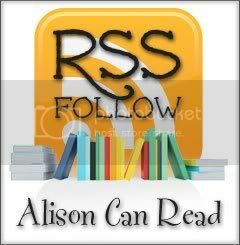 The girls specifically at Rather Be Reading (http://ratherbereading.com) give me such great advice. I've also grown closer to Kendra because of this and I think she's got such a unique voice. Kendra: This is such a dumb answer but seeing our layout when we moved from Blogger to WordPress was a big thrill for me? We looked so shiny and awesome, I was in love. I love sharing everything with Elena too, she is the very best. Q: Birthday Wishes -- Blow out the candles and imagine what character could pop out of your cake...who is it and what book are they from? Otherwise, I'd love to have Etienne from Anna and the French Kiss jump out. As I was typing this, I was also thinking of TV and movie stars that I'd like to have pop out of my birthday cake. I was thinking of Gossip Girl...Am I the only one who thinks the actor who plays Rufus - Dan and Jenny's dad - is the most attractive guy on the show? Nice answers! I think Edward and Jasper might be very popular in today's answers. I also loved Etienne too! Nice picks! Just saw an Etienne a blog back! Great choices although I'm having a hard time picturing any of these oh so hot guys wanting to jump out of our cakes! I forgot about Etienne from Anna and the French Kiss. Great choices! haha you wrote Anna and the French Cake! I got the book from the library now I just have to find time to read it! I would go now with Kaidan from Sweet Evil or ... Barrons .. always Barrons, but to keep it YA I go with Kaidan! many persons, doesn't it? At first I was wondering if I could pick some and not one but well I finally choose one. I completely forgot about Jasper he would be perfect. I love that you featured Elena and Kendra, their blog is great! Etienne would be a great bday present! I agree that Rufus is definitely the hottest guy on Gossip Girl! I'm with you I haven't seen Gossip Girl since the second season but Rufus was definitely the hottest guy on that show. Etienne <3 He was a cutie. I'm a new follower and FF blogger here, so I'm hope I'm going about this the right way! I love this question since tomorrow is my birthday! I totally pick the Wesley twins. oh i miss watching Gossip Girl. Yah I liked Rufus as well. The last season I watched was Season 3 I think? Thanks for reminding me of my once favorite show! Old follower hopping thru! Happy Friday! Leanne @The Reclusive Reader (New GFC follower). So many choices, so little time. I think I'd choose a new one for each day of the week (or maybe the month!). Hey Alison, I hope you have a great weekend!